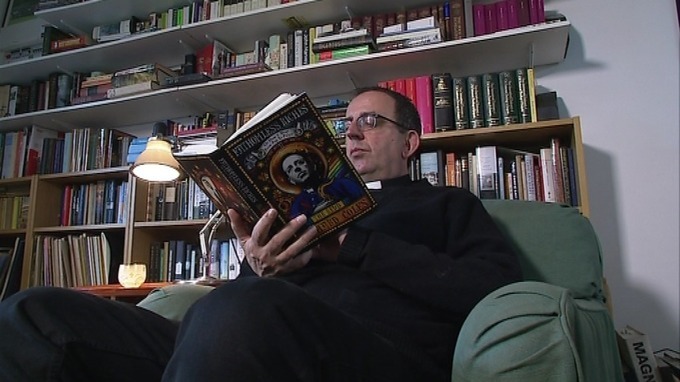 The Rev Richard Coles, broadcaster, vicar and 1980s pop star, has had another run-in with the law. At a reading of his new book, Fathomless Riches, Coles confessed that he has just had to take a speed-awareness course for the second time. It was not wholly his fault, though. Coles blames a woman “with flaming locks of auburn hair, with ivory skin and eyes of emerald green”. Don’t they all? “I’d arranged a parish outing to see Dolly Parton in concert,” he explained. “As I drove my parishioners back, we had a singalong and as we rose in our condemnation of Jolene [the eponymous subject of Parton’s 1973 hit], I pressed on the accelerator.” Alas, he was clocked doing 50 in a 40mph zone and nicked — “thanks to that minx Jolene”. Perhaps something more pedestrian from Hymns Ancient & Modern would be better next time. Update: The Rev was on Midweek, Wednesday. Another rather elderly guest accused him of stealing that lovely old word 'gay'. Textbook stuff! Richard appears about 15 minutes in here.